Elzbieta Blizinska, 62, was honored with Building Service Workers of the Year Award for Midtown Office Cleaner. 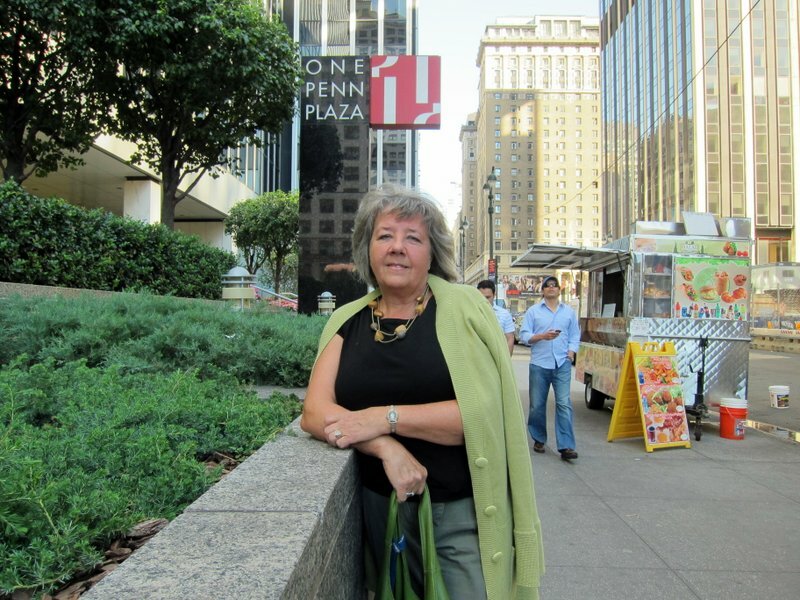 She’s been working at One Penn Plaza for 33 years. Published in New York Press, Oct. 11, 2012. Elzbieta Blizinska says she was born a fighter. Blizinska, 62, has been cleaning offices at One Penn Plaza near Madison Square Garden for 33 years. When most people leave work for home, she clocks in at 5 p.m. and begins to vacuum, dust and take out the trash for the workers who’ll file in the next morning. Each night, she covers around 40,000 square feet of office space and clocks out at 12:30 a.m., when she then starts her journey back home to Williamsburg. For the past two years, Blizinska has also been serving as shop steward for the union she belongs to, SEIU 32BJ, which represents building service workers. As a liaison between the union and her co-workers, she trains her fellow office cleaners to recognize their rights as employees and helps them in whatever ways she can. “I saw the needs in my company to protect people’s rights,” she said. Many of the people she works with are not native English-speakers. Most recently, when one of her Chinese co-workers was fired, she started a petition that received over 70 signatures, she said. The employee got his job back. “I’m a troublemaker,” she said, smiling through her green-blue eyes. Because of her work, Blizinska is being honored with the Building Service Workers of the Year Award for Midtown Office Cleaner. Blizinska said she has been fighting for what’s right all of her life, despite the odds. She first came to New York City in 1977 from Poland at the invitation of a friend. She figured she could make some extra money. She had hoped to use her degree in physical therapy and rehabilitation from Poland, but finding a job with a foreign diploma was difficult. She didn’t speak any English, either. But New York had its heart set on her. She got married and had a son, Jacek. She got a job at One Penn Plaza as an office cleaner in 1980, but figured it would only be temporary. She would stay just a few years, she told herself, and then would go back to school. But just as she was ready to leave her job as a cleaner, she became a single mother after a divorce. “It never works the way you think,” she said. She decided to stay. By then, she already had seniority at her company, and the union provided a sense of stability in a time when things were turbulent. As a single mother, Blizinska worked day and night—literally—to ensure her son would go to college. During the day, she worked multiple odd jobs, and at night would clean the offices. But Blizinska has no complaints. Over the years, she has gotten to know the employees in the building who’ve stayed past 5 p.m.
“I have a very good relationship with my tenants. We’re like family,” she said. She stuck to her job at One Plaza, knowing she wanted better opportunities for her own family—her son. “I believe in education and to make it better for the future generations,” Blizinska said. This entry was posted on Sunday, October 14th, 2012 at 7:50 pm. It is filed under Print and tagged with building service workers, midtown, new york city, office cleaner, one penn plaza, SEIU, union. You can follow any responses to this entry through the RSS 2.0 feed.